Forty years of communism had destroyed church structures to a large extent. The lay- apostolate with its engagement in the society was forbidden and many people were imprisoned. The documents of the Second Vatican Council were practically unknown. Christians had become anxious and very distrustful. Very slowly it was possible to develop relations and to gain confidence of the people. Long talks were necessary to analyze the current situation. The cooperation was mostly with the bishops but not everywhere. Together targets were formulated and priorities identified. It varied form country to country and from diocese to diocese. Information and formation of men and women were the priority. Seminars and lectures on the basic questions of lay apostolate, for non profit management in the church and for project- management were conducted. Support was given to Hungry from 1989. An office for the laity in Budapest was established and initially financed from Austria. The development of the lay-apostolate did not progress and the projects ended. UNUM OMNES were represented here but no longer have a representative here. The Slovaks are pious people. Many lay movements started quickly and the Slovakian bishops promoted the development. There are many connections to Austria, Germany and Holland. A lay office of the conference of bishops was established, which supports the movements, coordinates their activities and cooperates at European level. UNUM OMNES is represented by Catolicka Jednota. Most often Czechs critisize the Catholic Church. It is the result of the history inside the empire of the catholic Habsburger. Thus Cechia is a country, where they discuss the returning of church property, 25 years later. On Sundays churches in Bohemia are not full whereas churches in Moravia are full. The desire to have movements in the church is not strong. Strong academies were founded in the church as the CKA (Ceska krestanska akademie) in Bohemia and the MSKA (Moravska slezska krestanska akademie) in Moravia. UNUM OMNES is represented by Christian and labour. They have a seminars in Velehrad every autumn. This country is affected by a splitting of their society. The Catholic Church was connected with one side since the World War 2. Thus there is no religious formation in schools up till now. Austria started a good cooperation after 1990 and from this time there is a Catholic Council of Laity in Slovenia who founded a Catholic Social Academy. In 1995 after the invitation by Cardinal Josip Bozanic 1995 the lay apostolate in Croatia was developed. Old movements were activated and an office for the laity was started by the Conference of Bishops. A Catholic Social Academy began to work. 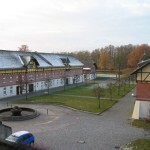 These projects were financed by a new organisation of the German Catholic Church, called Renovabis. The church has a strong position in the society. UNUM OMNES is represented by the Catholic Men‘s Movement in Croatia. The Catholic Church in Poland is clerical. There are different lay movements, but all are managed and controlled by priests. A cooperation on the European level is difficult and mostly not accepted. The Pope John Paul II. wished to start Catholic Action in Poland. UNUM OMNES is not represented. Since 1995 leaders of UNUM OMNES come together in Germany every year to attend a seminars, where actual themes of the church or issues in our countries have been discussed.